Our prices are in $US, packing included, F.O.B. Gobles, Michigan, USA. Freight charges, postage and insurance are excluded. We generally ship via UPS Ground unless otherwise requested. Minimum shipping charge is $10.00 for all shipments up to 10 lbs. shipped UPS ground. Shipments above 10 lbs. will be charged no more than UPS published rates. Most repeat customers are automatically set up with a Net 30 account. Cogent Tooling reserves the right to revoke net 30 privileges at any time should the customer go beyond terms. All accounts beyond 60 days will automatically be placed on credit hold. For one-time purchases, or for those wishing to purchase by credit card or debit card, we do accept Visa and Mastercard. Amounts will be billed at time of shipment. Customers who are denied Net 30 terms may purchase using Visa or Mastercard at any time. Full documentation of our Terms and Conditions of Sale can be found in the front of our printed full-line catalog.  By placing an order, you are agreeing to the Cogent Tooling Terms and Conditions of Sale. If you would like a printed copy, please contact us and we will be glad to fax or e-mail a copy to you.